New York, NY, September 28, 2016: Net Return Entertainment announced today that screenings of the documentary “STINK!” will be free to the public for the entire month of October 2016 on its website, StinkMovie.com, in honor of Breast Cancer Awareness Month. Watch “STINK!” for free on StinkMovie.com during Breast Cancer Awareness Month October 2016. 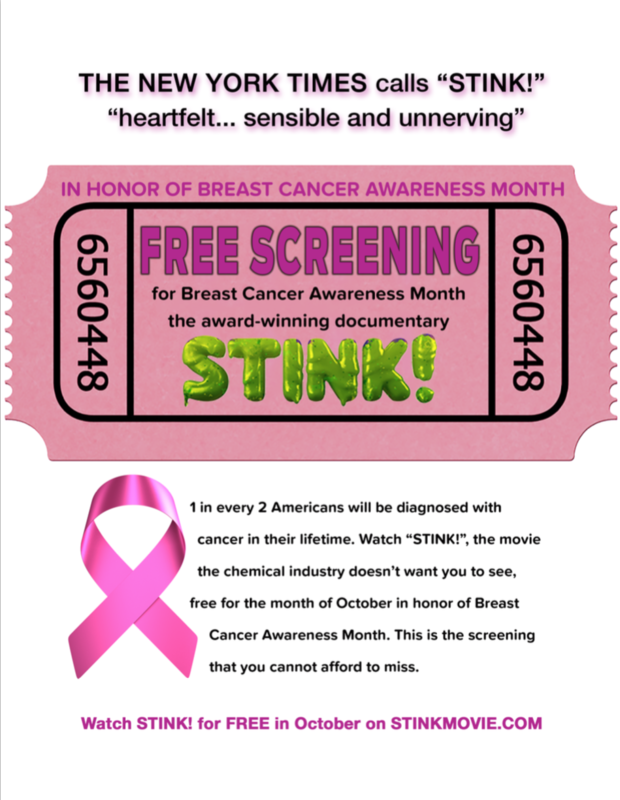 Free screenings of the award-winning documentary “STINK!” in support of Breast Cancer Awareness Month September 28th, 2016Stink!